The 1782 premiere in Vienna of 'Die Entführung aus dem Serail' was an unprecedented success. This dazzling triumph was enhanced by a libretto celebrating and counter to contemporary prejudices concerning the Ottoman Empire. 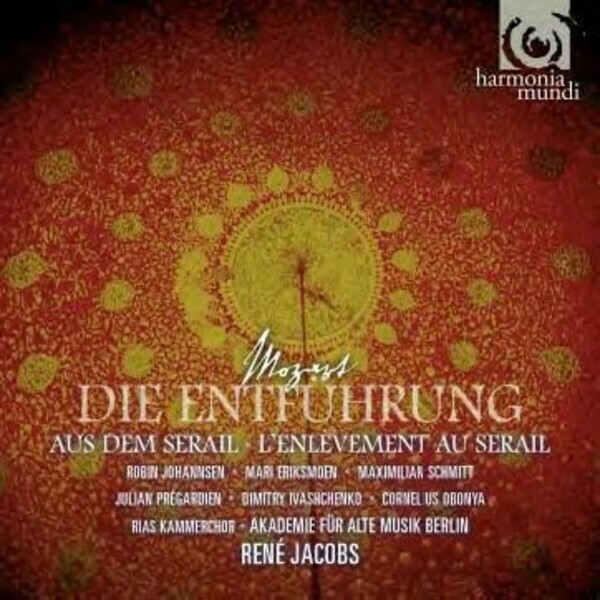 Mozart gave an important place to the spoken dialogue, often severely cut, but fully restored and brought to life here by René Jacobs in the culmination of his Mozart opera recordings for harmonia mundi.